Metamining of Utah Controls 500 acre of hematite in Drum Mountain, Juab, Utah, which could contain the potential for eventual production of more than 70 million tons of hematite lump grading 58-62% of Fe. This deposit is approximately 45 miles west of Delta, UT. The property is accessible by all weather arid country roads. Field examination, sampling and metallurgical testing indicate that the Drum Mountain deposit extends around 35 kilometers long by 50 meters wide And 4 meters high on average. Sample testing has demonstrates the typical content of Fe from the raw ore is up to 58-62% without any further processing. Other contaminating minerals are not found. Iron grade of the Drum Mountain Hematite Mine appears to be adequate and exits shallow. A lot of ore body outstands in open. The whole body of the mine within our property area stretches 35 kilometers from east to west with the seams of the ore of 4 meters high on an average and the width of the mine bed is 50 meters outreach. Part of the mine indulges in deeper and wider range of the area,which is the property next to ours. Based on the geological exploration, at least of 35 million tons of deposits of hematite can be mined within our property area. And the neighbor property reserve can be even more than 35 million tons and available easily. Tests indicate the hematite lump is low in sulfur and contains no other contaminating matters. 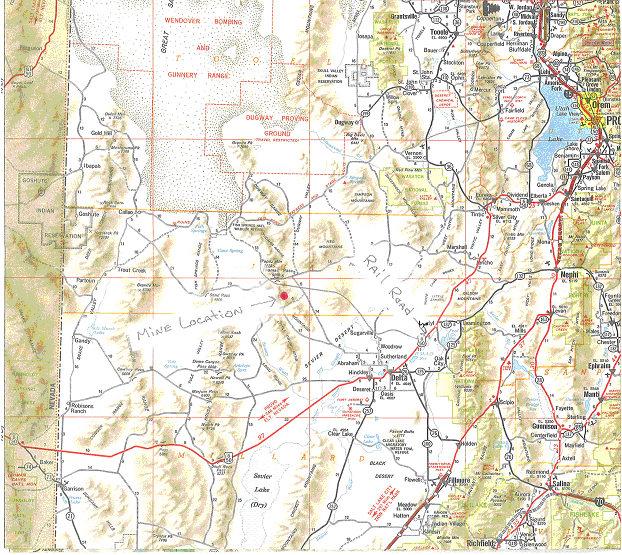 The Drum Mountain Project property is centered approximately 100 miles to the southeast of West Wendover, Nevada, which is about 100 miles west to Salt Lake City. The property is also about 45 miles to the northwest of Delta, Utah, and 5 miles north to Highway 174. The town of Delta is 112 miles and a 2.5 hour drive southwest from Salt Lake City International Airport, Via Interstate Highway 80(west) and State Highways #6 and #36(south). The property is regionally accessible by way of good quality asphalt roads and local gravel surfaced road about 5 mile to the highway 174 both 100 miles north bound to West Wendover and 45 miles southeast bound to Delta for further railroad transportation. It is about 725 miles from Delta to Port of Richmond,California by railroad, where Handymax size vessels can be loaded. While it is about 940 miles by railroad from Delta to port of Longview, Washington, where the capacity of 60,000 MT vessels are available. Both ports are in west coast of USA which is closer to Asian Marketplace and they are unfrozen in Winter. Of the 35 million tons reserve estimated, it would be expected a full mining area of the said 35 million tons in reserve could be readily mined, with the production of one million tons iron ore of 58-62% per Annum. As the ROM material is partly exposed in air and the overburden earth volume is not huge, the mining operation is an open pit excavation. 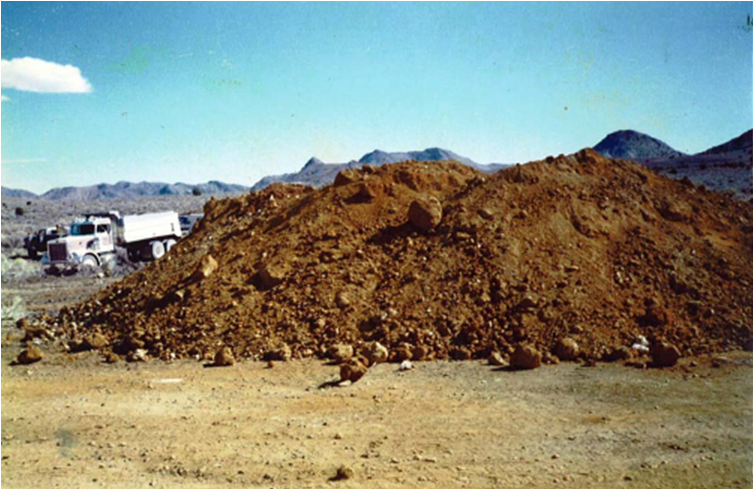 The ratio of overburden earth to excavation will be reasonably controlled 1:2 to 1:3. Blasting method will be fully adopted in a scientific way to control the size of the product to meet the requirement of customers. A crushing facilities will be installed to produce varied sizes to conform the demand of end users.